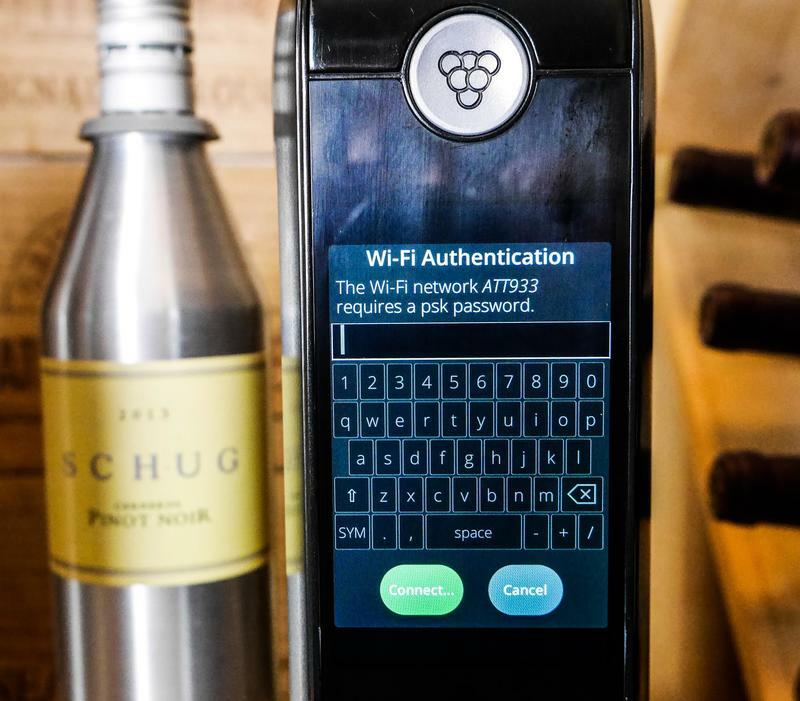 Kuvee review: This gadget wants to upend the wine world, but is it just sour grapes? 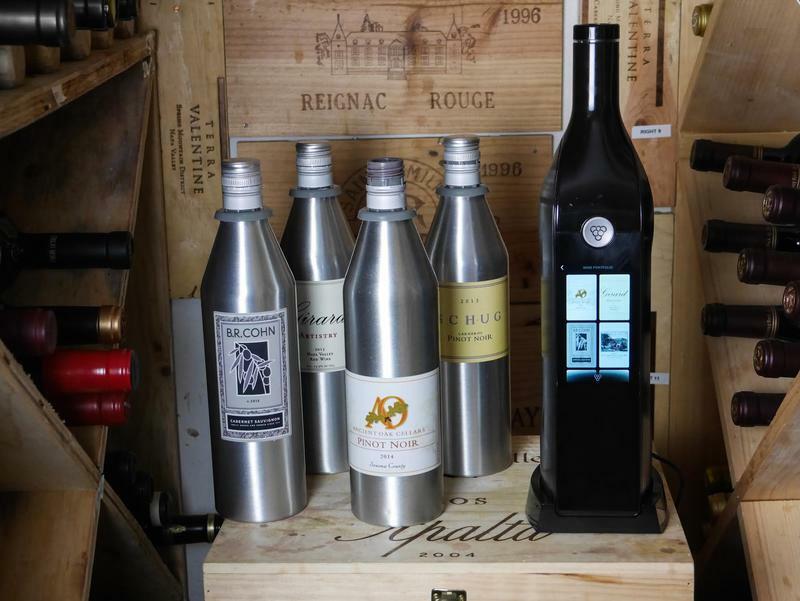 Kuvee wants to upend the wine world. The company's grand plans include totally rethinking how wine is packaged, sold, delivered, stored and ultimately consumed. 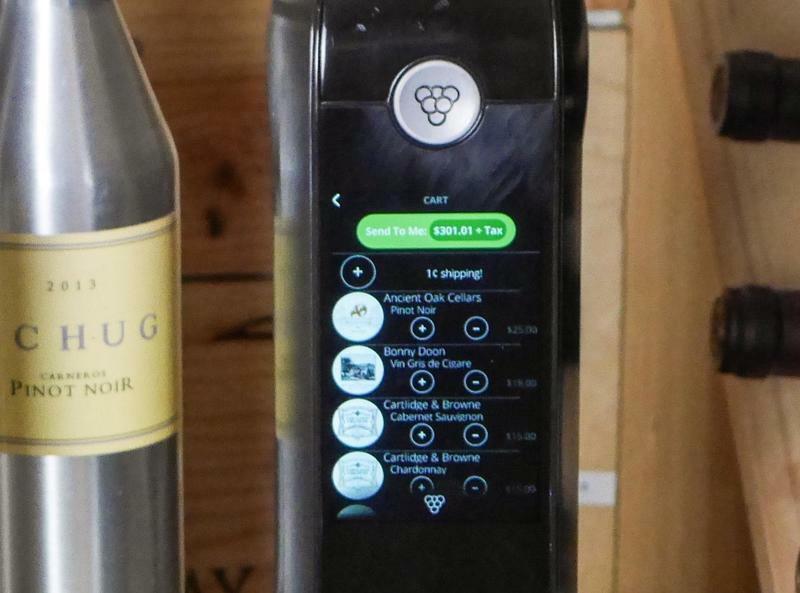 Inspired in part by Keurig, for the consumer Kuvee starts with a $199 wine-bottle shaped sleeve. This hollow device includes a 4-inch color touch screen, Wi-Fi connectivity, a small battery, inclinometer, temperature sensor and a nifty flow-control technology at the mouth of the device. But for the industry, Kuvee's plans start in the winery itself. Instead of bottling their vintages, Kuvee wants winemakers to send them wine first. The company will then fill up custom aluminum wine "capsules" with that wine. These 750ml capsules are bottle-shaped, smaller than a regular wine bottle, and include a plastic bag insert and a clever rubber and plastic valve on top – which is then capped off by a screw top. Although Kuvee will ultimately let winemakers fill Kuvee bottles in their wineries, today the company buys 5-gallon kegs from amenable producers and fills them up in their own warehouse. Regardless of who fills the bottles, Kuvee will control all sales via an on-line e-commerce store accessible either through the internet or directly via the touch-screen on the Kuvee sleeve. Once the consumer buys the Kuvee, they then need to order wine through this custom store. With bottle/capsule in hand, activating the device and having a glass of wine is simple – simply unscrew the cap, insert the capsule into the sleeve until it clicks, and then just upend the combined device until liquid starts flowing out of the top. The company also claims that its lightweight bottles are even more recyclable than traditional wine bottles, probably because in most cases corks and capsules are tossed in the trash, while the Kuvee bottles are just plastic and aluminum and are all recyclable. 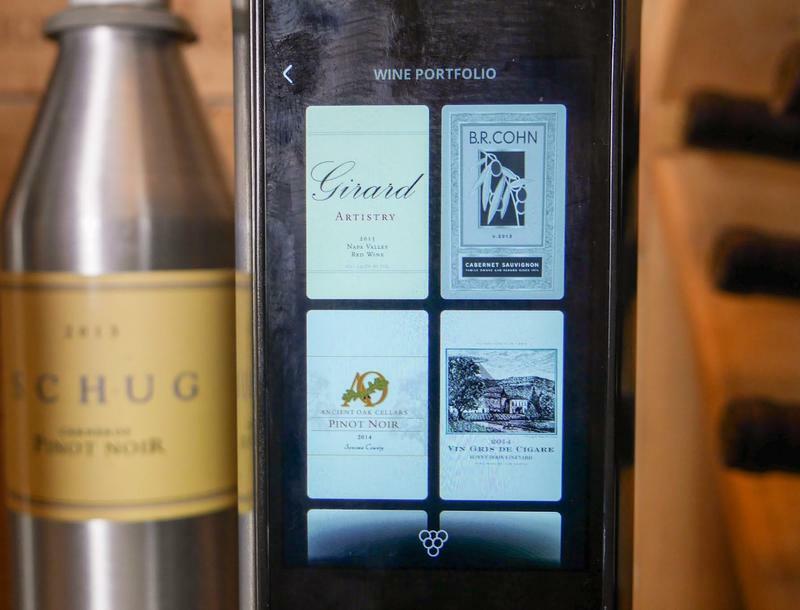 It's also neat to have an on-device display tell you about the wine while you're pouring it. Kuvee gathers up vintage, biographical and other data about each bottle it sells, and those automatically pop up on the built-in color touch-screen. The information is relatively pedestrian, however. 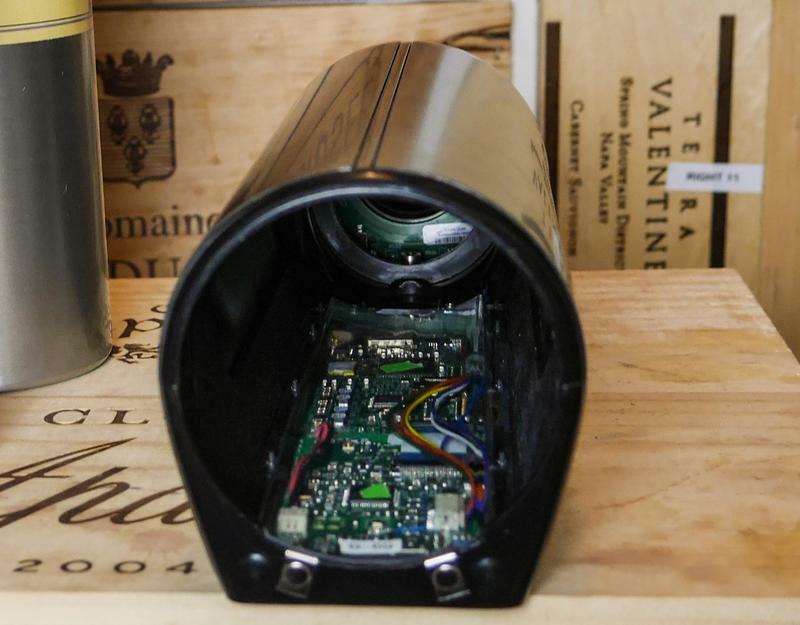 Hopefully in the future Kuvee will provide more detailed information on how the wine was grown, vinified and stored. But there are drawbacks as well. First, there's only a limited selection of available wine and the pricing is awful. Kuvee's company representatives told me that the price would be the same as in a store, with the benefit of free shipping. Unfortunately, that's not entirely correct. I analyzed all 15 of the wines available during my testing, and Kuvee's list prices came in 4 percent higher, overall, than the list prices I found mostly from vintners. But that overall number masks some pretty significant variations. The Girard Artistry 2013, for example, was available for $35 from the winery's website, but was listed for $45 on Kuvee's built in store. Similarly, the Schug Sonoma Coast Pinot Noir costs $30 from Kuvee, but just $25 from the winery. There were discounts as well, BR Cohn's entry-level signature Cabernet was 13 percent better than list, While Kenwood's Six Ridges Pinot Noir was better by a buck. When you factor in the discounted prices often found on the web, however, the pricing situation gets much worse. That basket of wines was available for 23% less from online retailers, with the largest percent variation coming from the Bonny Doon Vin Gris de Cigare, $18 from Kuvee, $9 from Wine.com. Kuvee does offer free shipping, but only for four bottles or more. Wine.com's shipping charges start at roughly $14 for the first bottle, and then $2 per bottle after that. A collection of 5 wines carried jointly by Kuvee and Wine.com costs $31 less – a relative bargain even after the $22 shipping charge. Wine.com also offers a program similar to Amazon Prime: pay $50 a year and shipping is free. The device itself is clearly a 1.0 product too. The touch screen is small and not extremely responsive, which caused problems when I was scrolling through wine information, or entering in my Wi-Fi password. The latter was a real pain, as the QWERTY keyboard is displayed in portrait mode, and each key was just a centimeter across. My fat fingers did not appreciate the tiny keys, and it took forever to enter in my 14-character wifi password. And scrolling through wine information needs to get better, too, as more than a screen's worth of text tends to roll off quickly or even disappear when moving from page to page. The screen's viewing angle is also very limited, and it's not too bright. It worked just fine indoors at night, but it was difficult to read in bright sunlight. It also doesn't automatically connect to Wi-Fi, which is odd – although it's probably to save battery life, which was atrocious. Once turned on, the version I used lacked both a sleep mode and a power-down mode. It simply stayed on until it ran out of juice, often before the grape-juice itself had been exhausted. That's less of a problem than you might think, as the Kuvee still pours wine whether it's powered on or not, which was a relief one evening when I really needed a glass and the unit was dead. It's also not for aging. Kuvee expects the shelf-life of most bottles to be about two years, so you won't be building a cellar of their capsules. The selection – at least today – is limited to California wines, but the company expects that to change over time. It's unlikely, though, that you'll ever see a Chateau Margaux in Kuvee clothing. I tested an early-release version of the product, so take some of the above with a grain of salt. The company promises that battery life will get better – along with an added sleep and auto-shut off mode, for starters. Their goal is for it to last an evening, with the expectation that you'll return the Kuvee to its charging base at the end of the night. Or the next morning, when the buzz wears off. It took about two hours, in my tests, for the Kuvee to fully recharge. The base itself is powered by a standard micro-USB AC adapter, and in my tests it charged just fine using a Zagg USB Battery. You can't charge the Kuvee when a wine bottle is inside, though, and this is by design. When a bottle's inside, a certain amount of air leakage happens. Extended insertion, according to the company, could cause the wine to spoil more rapidly. They recommend you recap each bottle at the end of the night and store it in the refrigerator. Wine purists should be mollified by the company's efforts to work closely with a variety of winemakers to ensure that its packaging was as neutral to the wine as a bottle and cork. I couldn't validate their claims, but during my tests every glass tasted fresh and untainted. I also found their shelf-life claims accurate, at least to my limited palate. A bottle of Ancient Oaks pinot noir tasted just as fresh two weeks later than when I opened it. I really liked the convenience, ease of use and flexibility of Kuvee's new product. The ability to have a glass of wine, and then save the rest for a few days or weeks is a neat feature. The wine selection was OK – and certainly better than today's box wines. But the limited selection, coupled with the non-competitive pricing makes this more of a nifty gadget than a gotta-have product. Kuvee might well take over the wine world. But it'll have to bring costs into line or it'll more closely resemble cousin Keurig's Kold Drinkmaker than its eponymous coffee maker. Jim Louderback joined Revision3 as the CEO in July 2007, and guided the company to a 20-fold increase in viewers, a 12x increase in revenue, 39 new distribution partners and 9 prestigious company and show awards. In 2012 he sold the company to Discovery Communications and now runs the Digital Networks business for Discovery – of which Revision3 is a part. Prior to that, Jim spent 16 years in increasingly senior media and technology management roles - leading startups, growth businesses and turnarounds. He most recently served as senior vice president and chief content officer for Ziff Davis Media's Consumer group, along with being Editor in Chief of PC magazine. Before that he was a senior member of the launch team at cable network ZDTV, and guided its transformation into TechTV. He also ran editorial operations at special-interest newspapers and magazines.